Mobu aims to allow businesses to create ICOs for security tokens on a decentralized platform. Today, ICO’s raise more capital that IPOs; in fact, $3.4 billion was raised from ICOs in the first quarter of 2018. While the ICO market is rising in popularity, the security token market remains largely untouched, and we like that MOBU has picked a niche spot on which to focus. Their platform offers non-tech companies the opportunity to expand horizons to launch security tokens with negligible fees, instant settlement times, and around-the-clock trading. MOBU is backed by a strong team and has a huge following with significant amount of buzz around the project. 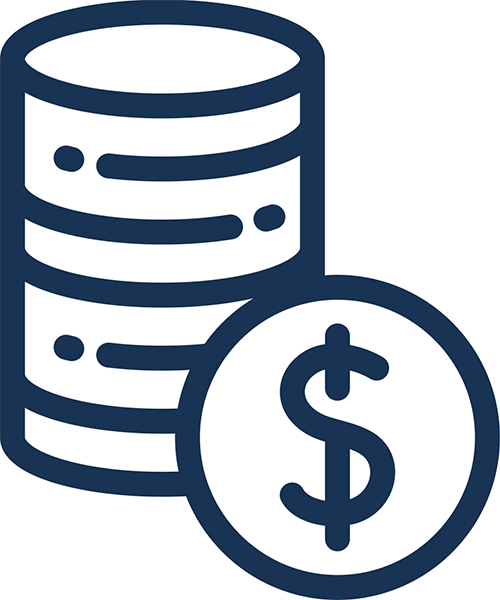 In addition, MOBU has a leg up on the competition and differentiates through their innovative escrow services and utility lockup capabilities, both of which ultimately ensure higher ROI for investors. Unfortunately, the MOBU platform is not yet released, which gives us concern. The securities market can be a legal, technical, and regulatory nightmare. We like MOBU on paper, but in order for us to be completely sold, we need to see it working in action. How to invest: Interested investors can register for the whitelist on the Mobu website. Eligibility: It will be an open presale. US investors must be accredited. Problem addressed/solved: A security token start-up can be a legal, technical, and regulatory nightmare. There are several legal restraints when a security token is considered. When funds are being raised for a security token, a KYC/AML process, a SEC 506 C Reg D approval, and an FSB CIS CAT 2 licensing in South Africa specifically are required. Every country has different requirements in legislation in terms of a security token launch. Other problems in the securities market include high fees, slow transaction times, and manipulation by financial institutions. That said, security tokens provide fewer administrative costs, increased transparency, instantaneous transfers and 24/7 trading, all items that address specific problems among other types of securities today. Target customers/customer/ segments/verticals: Mobu wants blockchain startups that are planning an ICO crowdfund to join their platform and launch a security token rather than a typical utility token. The Mobu project will be solely dedicated to startups building their security token on the Mobu platform. 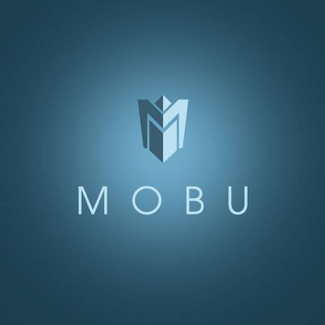 Value creation: As an organized ICO platform, MOBU offers a complete blockchain solution to expand the horizons and solve the problems of cryptocurrency developers who are either hesitant or unsure about all the procedures required when offering security tokens to the cryptocurrency community. In short, they create a new avenue to launch security tokens in an easy and efficient manner. Mobu bridges the gap between the securities marketplace and blockchain and facilitates the release of compliant security tokens for all businesses backed by real assets. The platform aims to provide clarity and certainty to investors and issuers in terms of expectations and rights, and it restricts tokens to verified users. Competition: Mobu has competition from other blockchain platforms that startups use as the backing to their coin. Notable competitors include Ethereum, Securitize, and Polymath. Mobu differentiates itself in that it is an organized platform specifically for security tokens that has added features like investor account portals, bank support (fiat to crypto), and escrow services to ICOs, as well as technical and legal support. Market size/potential: The amount of funds raised by ICOs in 2018 has already exceeded the total raised in 2017 with $6.3 billion USD. The ICO space continues to expand at an exponential rate as more and more projects raise millions of dollars. Regulatory risks: There are very high technical, legal, and regulatory issues around security tokens. Investor value: Mobu’s investors will see an increase in the Mobu token as more blockchain projects launch security tokens on their platform. If Mobu can build a community revolved around the security token and its position on their platform, then investors could really see a spike in their holdings. Disclosures: Mobu, unlike the vast majority of pre-ICOs, have seven confirmed exchanges (CoinExchange, Cryptotopia, GetBTC, HitBTC, IDEX, Livecoin, and YoBit) that will support their utility token. Their employee bios bring an extra layer of transparency due to their size and attention to detail, and the extravagant and well-organized whitepaper has all necessary information for potential investors. Having said that, their roadmap needs an update ASAP. It’s an informational nightmare and only gives snippets of their future plans. Token distribution: 80% Fundraising, 12% Team (Frozen 1 Year), 4% Advisors, 3% Bounty, and 1% Airdrop. Use of proceeds: Mobu does not fully disclose their plans for the ICO funds. It appears that most of it will be used to build their platform and finance their other operations. In the whitepaper, there’s a short section showing what Mobu plans to do if they raise $10, $20, or $30 million USD. Track record: Mobu has an impressive array of former CEOs. Juan Engelbrecht (CEO), Ettiene Pretorius (Business Development), and Brian Golding (CIO) all boast immaculate resumes that highlight their times as CEOs of prior companies. The management team has already been involved in cryptocurrency since March of 2015 with their company Zaber, which imports crypto mining equipment and manages 4 large crypto mining farms. It was the largest mining operation in the southern hemisphere until 2017. Integrity: The Mobu employee bios have so much detailed information about each team member that it’s essentially a mini whitepaper. They clearly have confidence in their employees’ qualifications, leading them to provide a high level of transparency for each member’s background. MVP: The first beta version of Mobu is set to launch in July of 2019, which means that Mobu will conduct their pre-sale nearly a year before they even have a minimum viable product. Token use case: MOBU tokens are the underlying economic unit of the MOBU marketplace. By requiring that people hold (and transact) in MOBU, participants become claim holders on the system, which should generate the same forces of incentivization that have helped ecosystems like Ethereum (and many so-called “altcoins”) explode into active and diverse communities. Value-added: The Mobu coin is the only form of transaction on the Mobu platform. It adds value to the project as the catalyst for developing a sustainable community, much like Ethereum and the many ERC20 tokens on its platform. Decentralization: MOBU offers a decentralized organized ICO platform to facilitate the release of compliant security tokens on the blockchain. Token Supply: A maximum of 350,000,000 tokens. There will never be more tokens issued. Technical difficulty/investment expertise needed: The common investor will likely stumble along when trying to understand the Mobu project. It involves the comprehension of technical terms used commonly in the crypto space since the project offers blockchain startups a platform and subsequent service to carry out a security token sale. Halo effect: Mobu has the basic set of partners that you’d expect from most projects: AmaZix, Tokensuite, and a few legal/advisory partnerships. They’re not partners that influence investment decisions, but rather serve as resources to carry the project to fruition. Buzz: Mobu has an eye-popping 90,000 Facebook, 40,000 Twitter, and 45,000 Telegram followers. Their follower base alone would impress any investor who’s knowledgeable in the pre-ICO sector. It’s especially impressive since Mobu doesn’t stir up an “exciting” buzz to the general public since its only use cases involve other blockchain/crypto startups.